And with it, the heat. Yes, the heat. We try to run the air conditioning as little as possible from June to July because we know that August and September are so much worse. But this weekend I had to turn it on. After spending most of the day at Disneyland in 90+ weather with very little shade, air conditioning was a must. This was our first weekend in five months that we did not have a school activity or a soccer game. Between school, soccer, and track, our schedule is pretty brutal. I relish those very few weekends in the summer that we don’t have one of those three activities going on. Of course, the kids both still have soccer camp during the summer for the next couple weeks, but it’s over and done with everyday before I get home from work. Since we had a free weekend, we took full advantage by getting in a little shopping time on Saturday and Disneyland on Sunday. After two days outdoors in the sun and heat, I feel a bit like I’m melting. Not at all like my usual put together self, which leads me to today’s card. The Happy Birthday Gorgeous stamp set comes with all the different little pieces to put together a fabulous card. I love how the various word combinations allow you to use this happy birthday set for non-birthday occasions. I chose the sentiment “You Look Gorgeous” for this card so you can see an alternate use. The flowers are two different stamps. 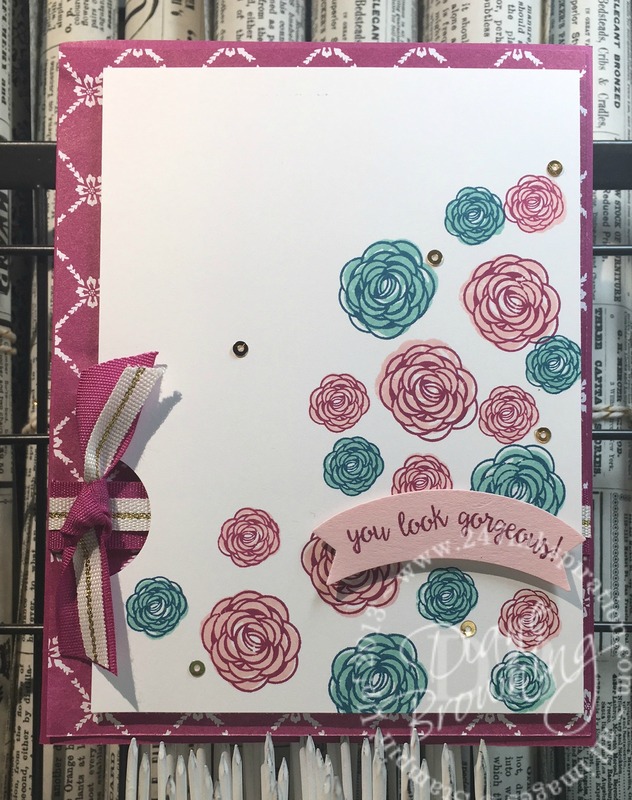 You have the background flower stamp and the petal outline that you stamp on top. 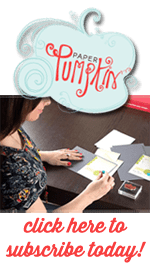 No need to worry about stamping boo-boos with this set, because the pieces have markings so you can make sure they are facing the same direction before stamping them. I love the delicate look of the petals on these little flowers. And those mini sequins are the perfect match for these tiny flowers. To allow room for my bow, I used my circle punch to cut a notch in the Whisper White card stock. This is actually a faux-bow. The ribbon is wrapped around the pattern paper and glued down. The bow on top is a separate piece that is glued down on top of the ribbon. I’ll do this if I’m having trouble getting my ribbon to lay just right. With the two different ribbons, I just couldn’t get them to cooperate with me. That’s it for today. Now that it’s cooling down a little bit, it’s time to let in some fresh air and turn on some fans. Just remember, no matter how sweaty you feel, You still look gorgeous to me.